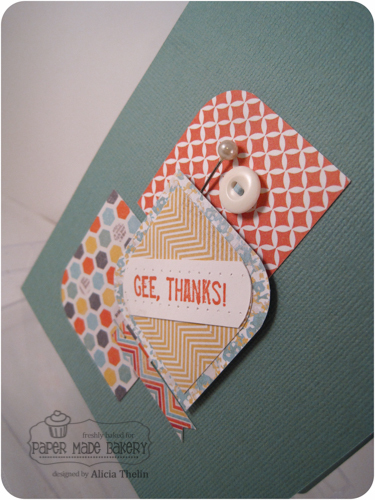 Paper Made Bakery: Gee, Thanks! cards for the year ahead. and rounded two opposite corners. 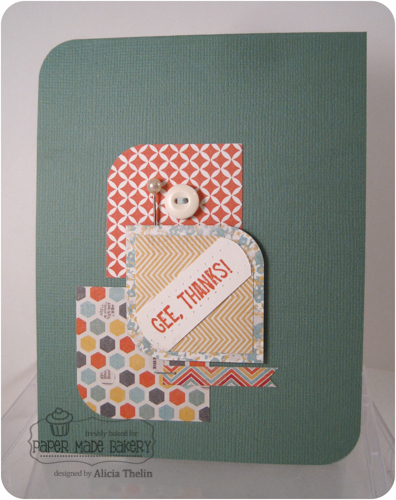 corners on the card base as well. pop-up (foam) behind your image. greeting came in my kit. Aren't the patterned papers wonderful? This is fabulous! I loveeeeeee the colors!!!! Love how you rounded the corners...looks great! wow...lovin' this Alicia...you rocked the colors and patterns! this almost feels like that collage free style thingy. NICE!